Without a doubt, Gin-tonics are one of the most popular drinks in Barcelona. Originally from England, the cocktails have reached popularity here because of their refreshing fruity and botanical taste, served in large ice filled glasses perfect for Spain’s hot summers. As a result, gin bars have been popping up all over Barcelona, where customers can customize their perfect drink. Today, we’re going to be looking at some of the best the city has to offer. Dry Martini is Barcelona’s own internationally recognized cocktail bar, one of the best in the world. Opened over thirty years ago and modelled after the classic English Cocktail Bar style, it’s not hard to imagine James Bond sipping on a martini there. Under the direction of Javier de las Muelas, the bar expanded it’s menu to a list of classic cocktails. And although they are named for another signature, their Gin-Tonic are a force to be reckoned with. Located in the heart of Gracia, Elephanta offers a more relaxed scene for gin-tonic drinkers. With cushioned seats and board games at the ready, it makes for a nice casual evening out with friends. They have been serving gin-tonic since before it was cool, and it shows. If you don’t know what to order, trust in the expertise of the establishment and order the gin-tonic of the week. Trust us, you will be pleasantly surprised. Old Fashioned- filled with jazz, bartenders in waistcoats, and stately decor- is simply put, a little old fashioned. Their drinks, however, are not. With new twists on classics, this bar offers delicious drinks and fantastic tapas to sample as you drink. 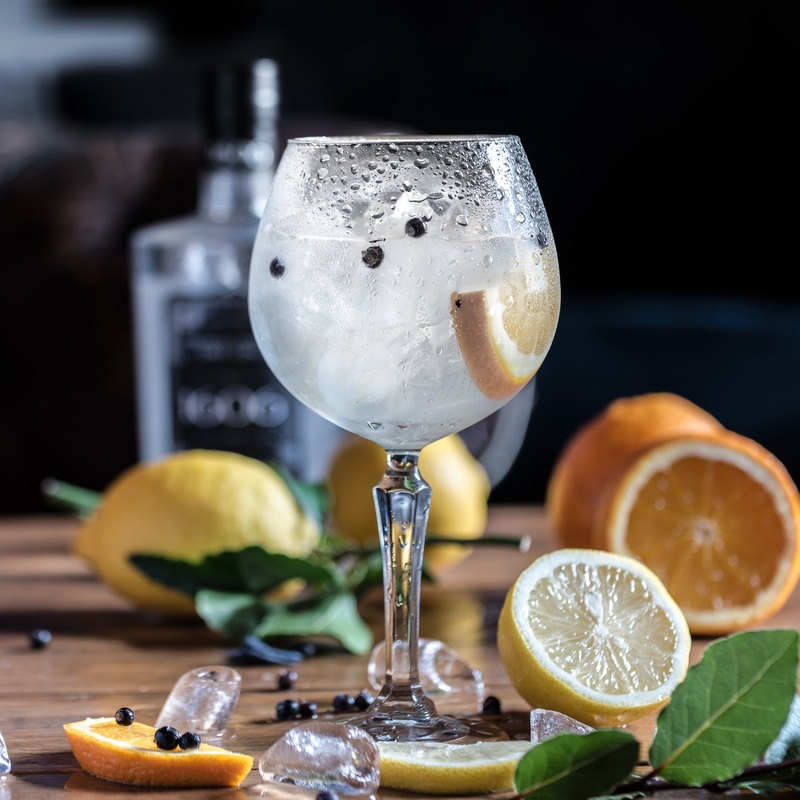 Their gin-tonics are renowned and diverse, so don’t be afraid to try something new. If you’re looking for an adventure and a little mystery, this cocktail bar is the one for you. Reminiscent of a Chicago speakeasy in the 1940s, it’s discrete location is easy to miss. Open until 3am daily, they have live jazz music every night. With an extensive cocktail menu, their gin-tonics shine among a diverse selection. Looking for a way to sample some of the best drinks Barcelona has to offer? Bida, the new subscription based app, offers users a free drink a day at bars around Barcelona for less than 10 euros a month. With a long list of participating locations, it’s all too easy to find the perfect spot for a free drinks with friends. Fusion Food in Barcelona and Where to Find It.